West Virginia Governor Jim Justice did not sign or veto legislation on his desk which allowed the legalization of online casino gambling and poker in the state as of March 28. West Virginia is now the 4th state to legalize and regulate interactive wagering for casinos and 5th for online poker. The law will take effect on June 7th, 2019. As discussed in an earlier story, states like West Virginia were moving to pass legislation allowing online gambling despite the DOJ’s opinion reversal on the Wire Act. Jason Barrett, a House Delegate shared his excitement over social media platform Twitter writing, “#iGaming has now officially completed the legislative process in West Virginia, ensuring we will become just the 4th state in the nation to legalize online [casino] gambling”. The minimum gambling age for online interactive gambling will be set at 21 in West Virginia. 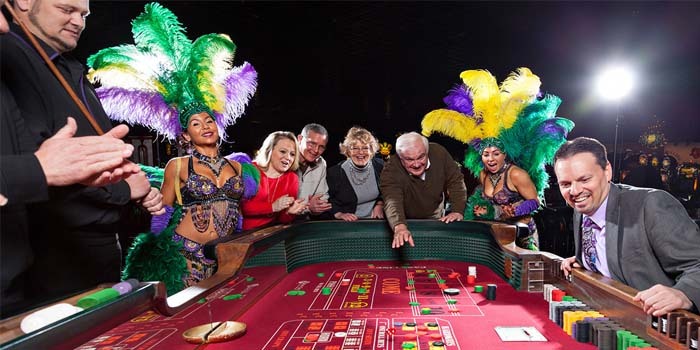 West Virginians over eighteen or those who are 21 who cannot wait for implementation looking to enjoy interactive gambling can do so through licensed offshore online 18+ casinos and eighteen and over poker sites. WV’s 5 casino venues will need to apply to obtain one of their designated online gaming licenses provided by the state. The initiate fee for obtaining an interactive license is $250,000 with a renewal fee of $100,000 due once every 5 years. West Virginia will tax the online gaming revenue at 15%. As of this moment, all 5 venues which will be allowed to offer online casino gambling already have sports betting partnerships. The Greenbrier has a sports betting partnership with FanDuel Sportsbook, Hollywood with William Hill US and DraftKings Sportsbook, Mountaineer with William Hill US, and Mardi Gras and Wheeling Island with Miomni. However, Miomni suffered from a dispute with 3rd party provider Entergaming which shut down sports gambling at Mardi Gras and Wheeling just before and during the first few weeks of March Madness. This issue may have other venues including those affected reconsidering who they may partner with for online casino gambling. In consideration of online poker, however, another issue may be afoot. West Virginia’s populate is small as is and a smaller percentage of that population may be interested in online poker gambling. Therefore, a multi-state online poker compact with Nevada, New Jersey, and Delaware may be necessary to keep WV’s online poker platform afloat by providing a wide pool of players. However, the new 2019 DOJ opinion reversal may make this an obstacle not worth the state letting off the ground.